The JSU Welcome Center is the front door to the campus of Jackson State University. Located in the capital city — the cultural, political and geographical center of Mississippi — the university’s scenic, 150-acre campus is home to numerous academic and administrative buildings, many with unique architectural elements. 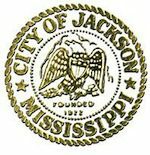 The main campus, on John R. Lynch Street between Prentiss and Dalton Streets, is a mere five-minute drive from downtown Jackson and a 20-minute drive from Jackson Medgar Wiley Evers International Airport. The Welcome Center provides maps, information on JSU programs and events, and meeting space. You may view images of the Welcome Center lobby area and meeting room in the photo gallery. Prospective students and their families, alumni, staff and friends of JSU are all invited to the center to learn about our services. While there are numerous year-round activities on campus, the city also offers a wide variety of cultural, musical and sporting events. Malls and eclectic neighborhood stores are a haven for shoppers in search of great bargains.